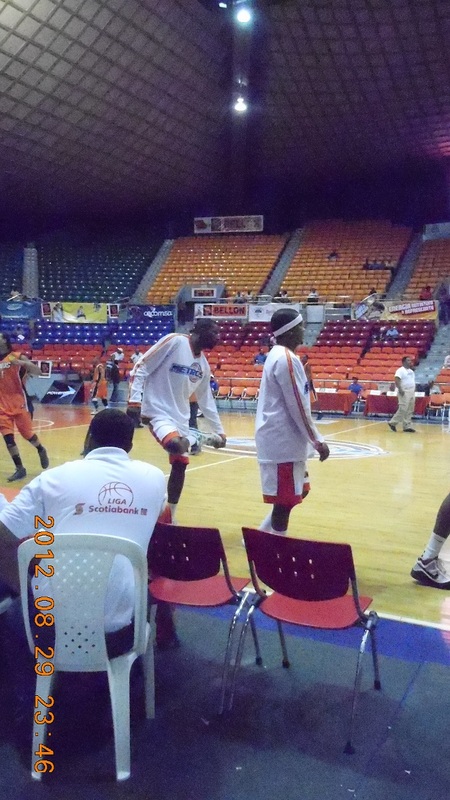 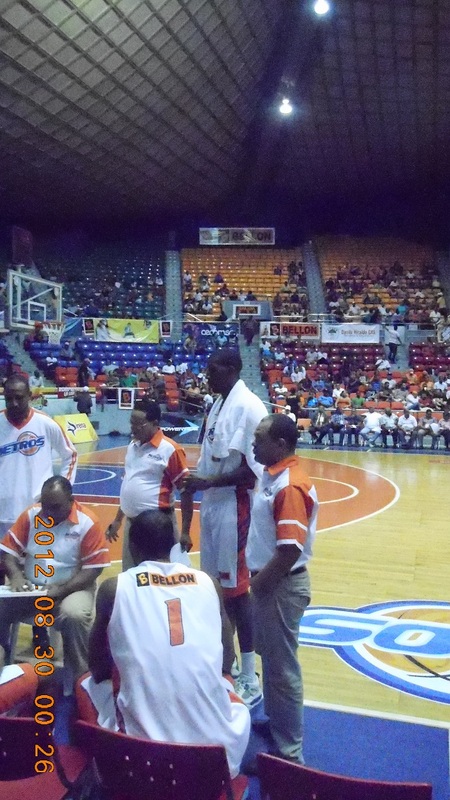 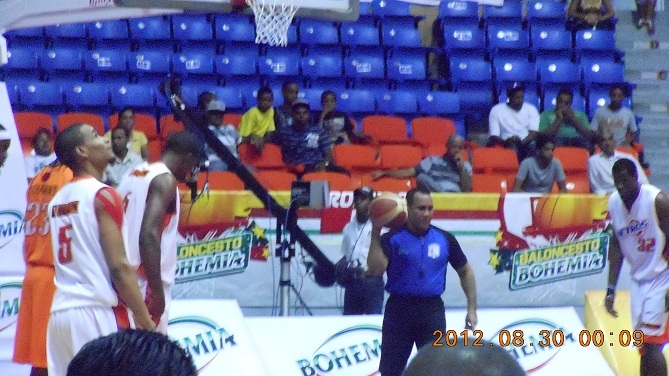 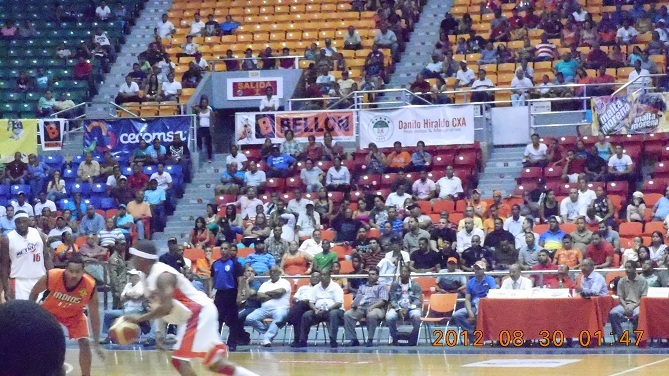 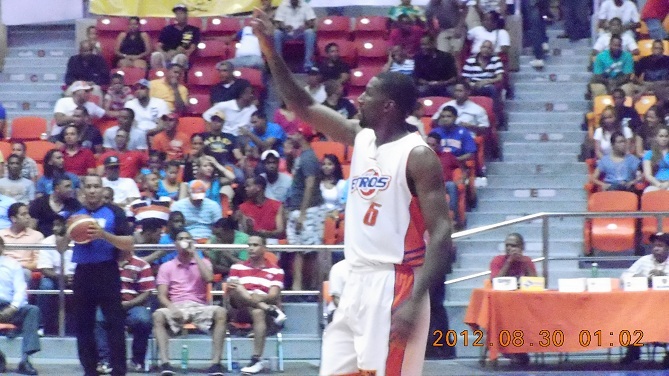 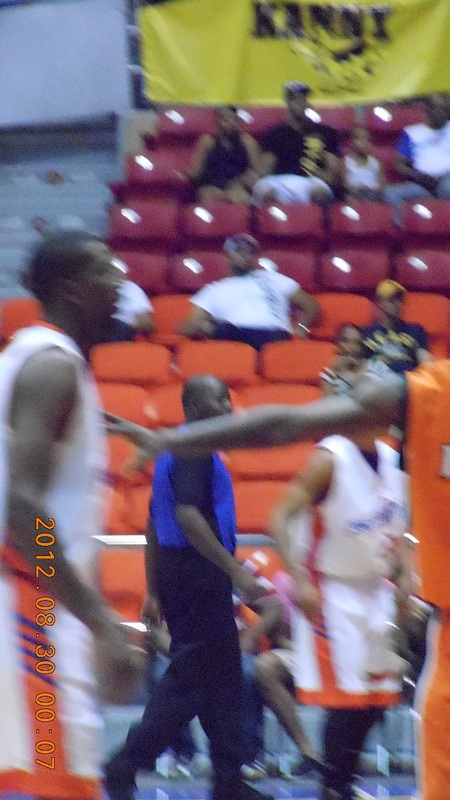 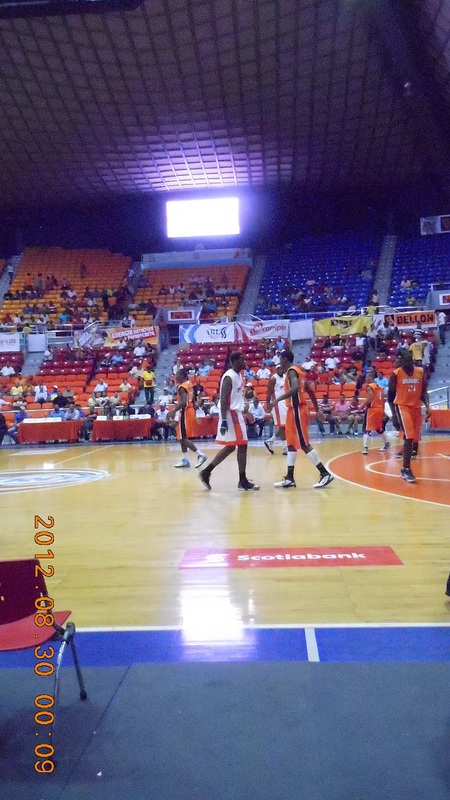 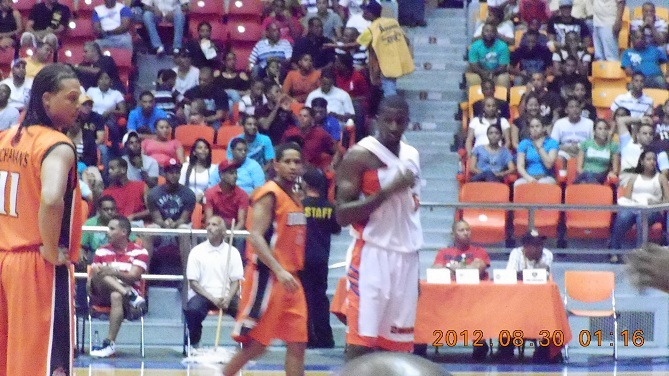 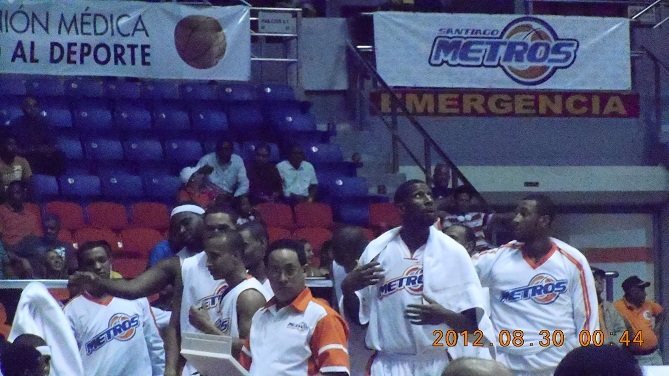 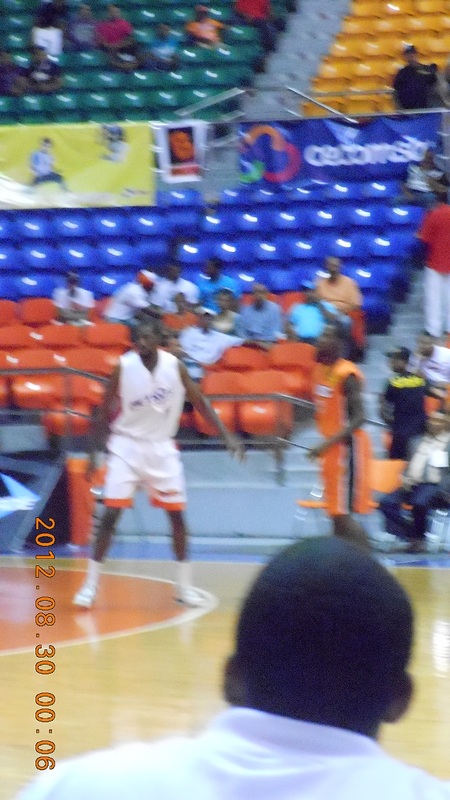 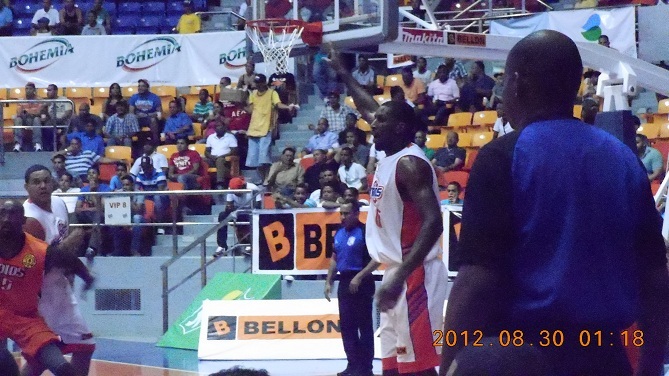 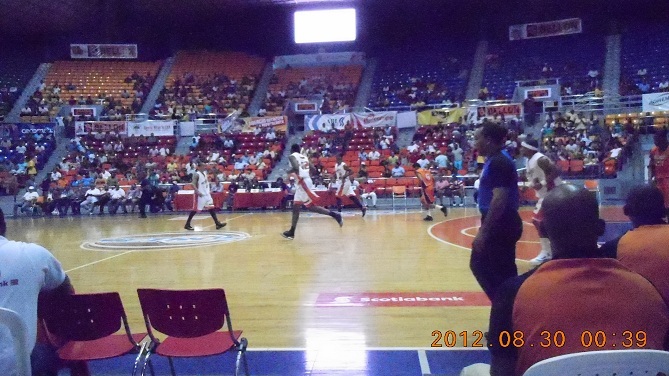 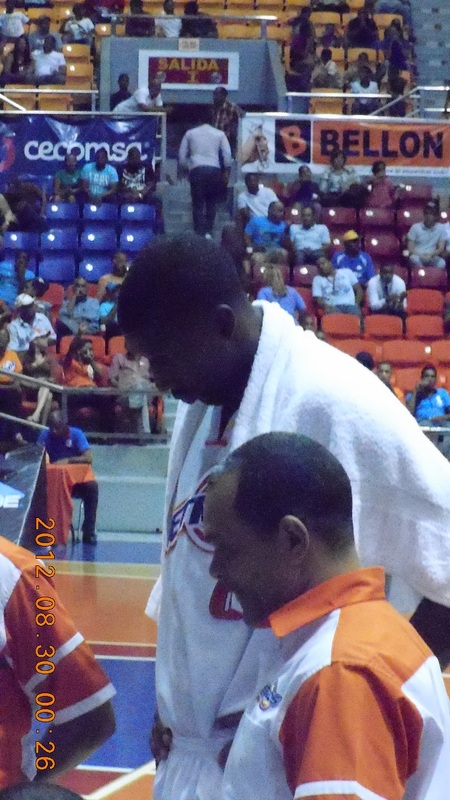 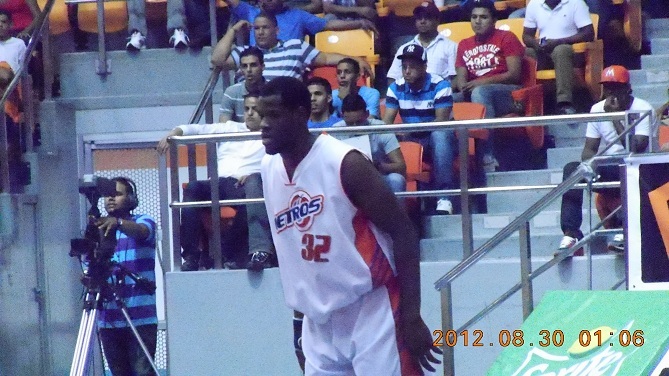 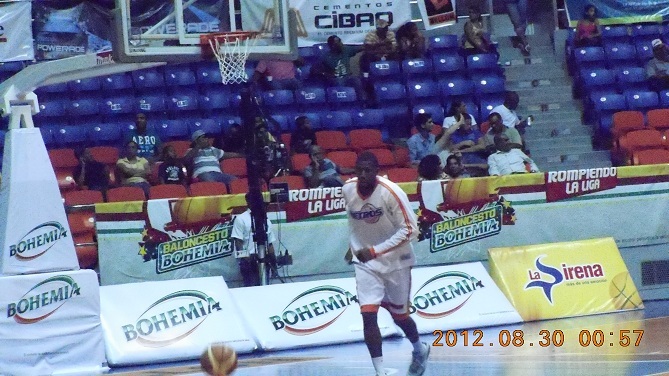 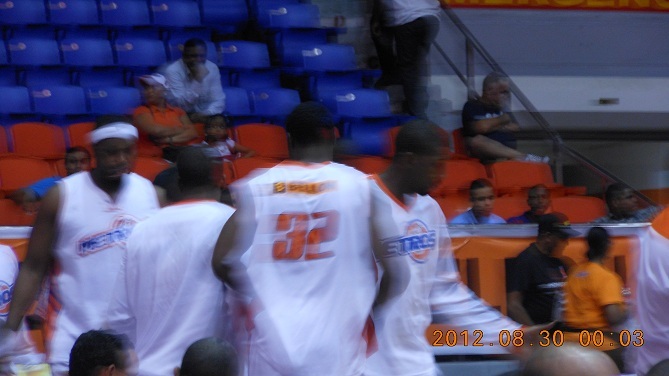 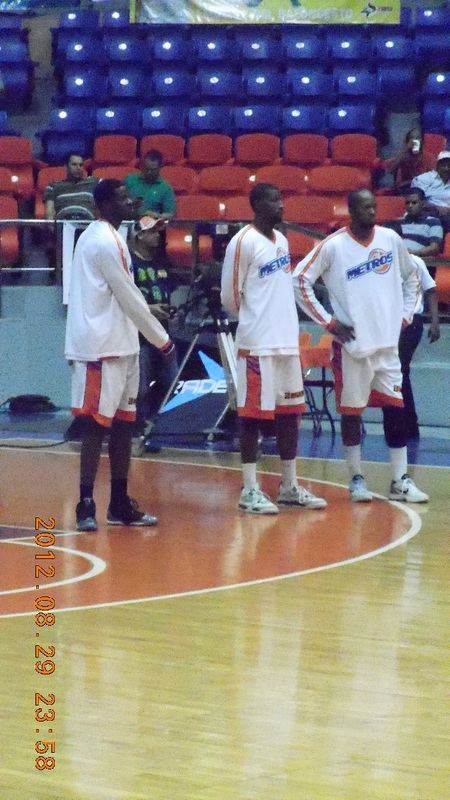 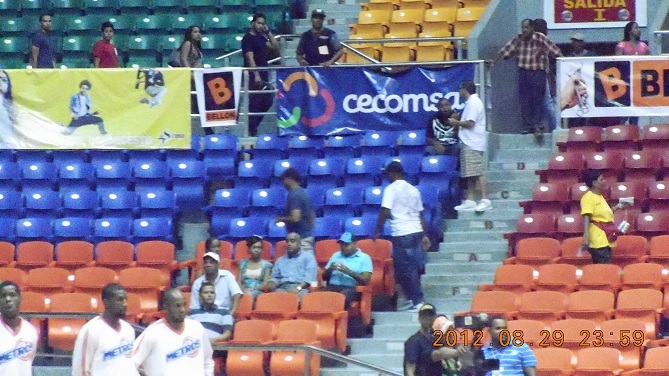 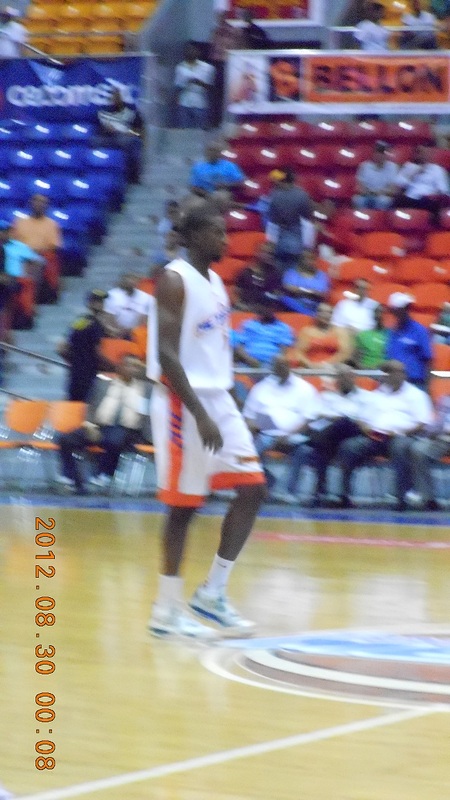 Former NBA player Demetris Nichols made his debut for the Santiago Metros in a road game on 27 August 2012, and played in a home game two days later in Arena del Cibao in Santiago, Dominican Republic, where these photos were taken. 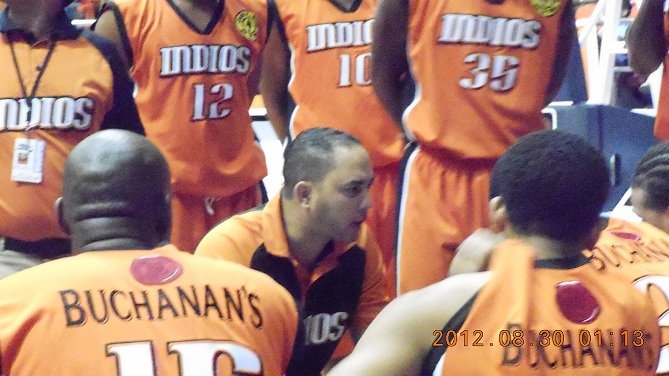 The visiting team is the Indios of San Francisco de Macorís. 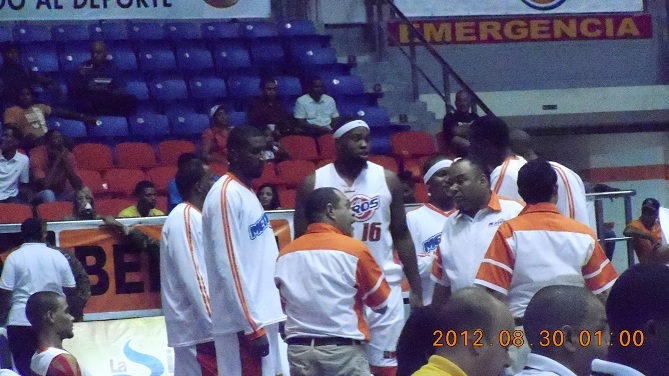 Some of these photos feature Nichols, who wears number 6, and others do not. 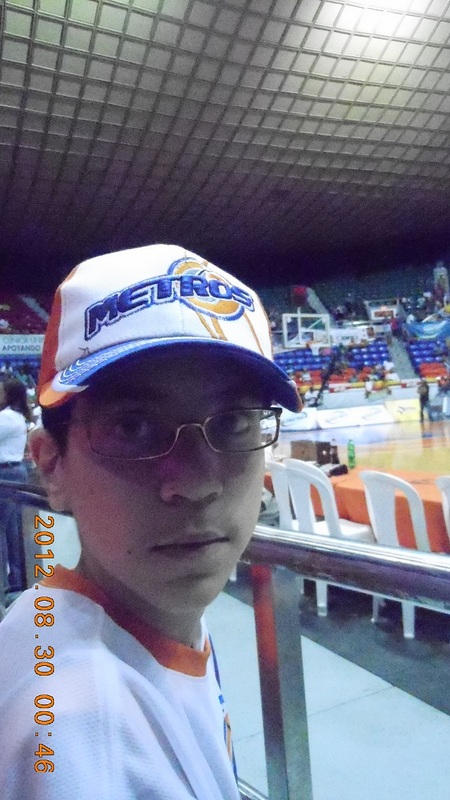 Click on any photo for an enlargement, and click on that for a bigger enlargement. 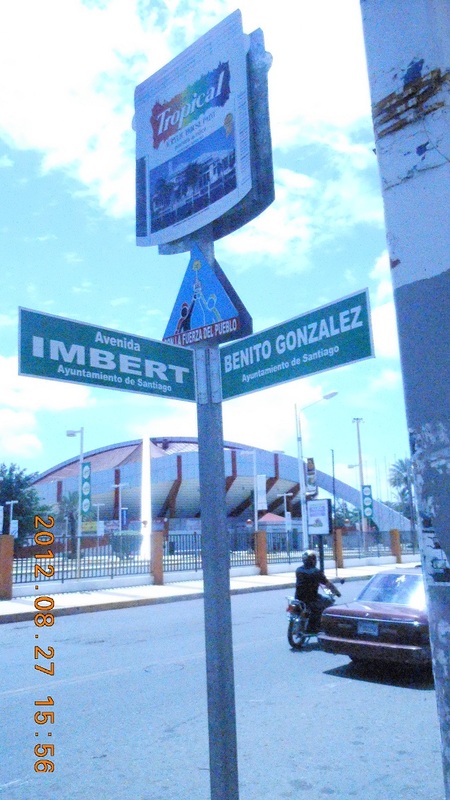 You can use any photo if you comply with these simple RULES. 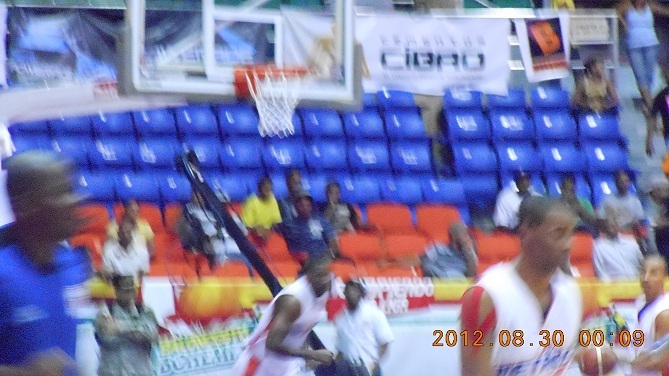 The webmaster was learning just how tricky it is to take a guys picture while he is playing basketball! 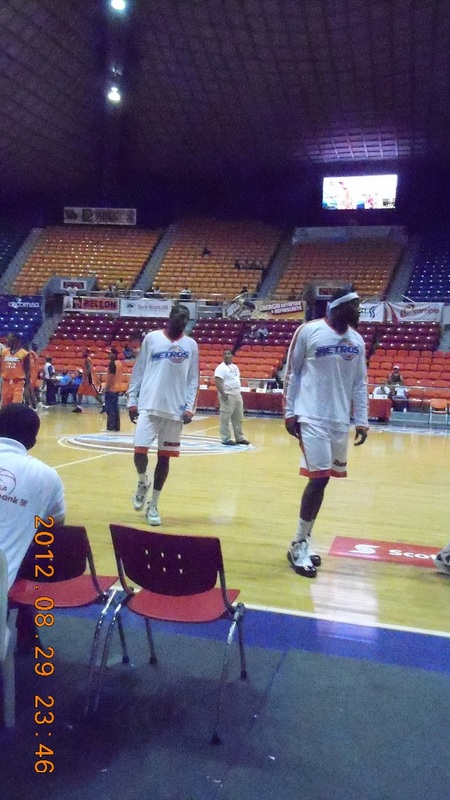 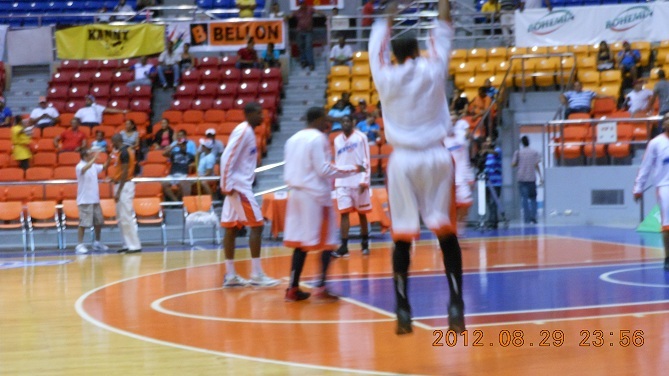 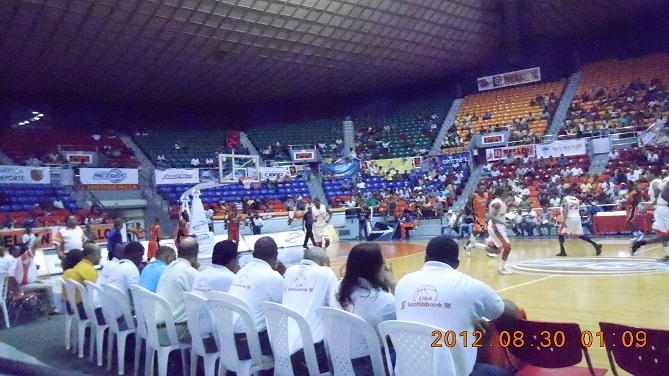 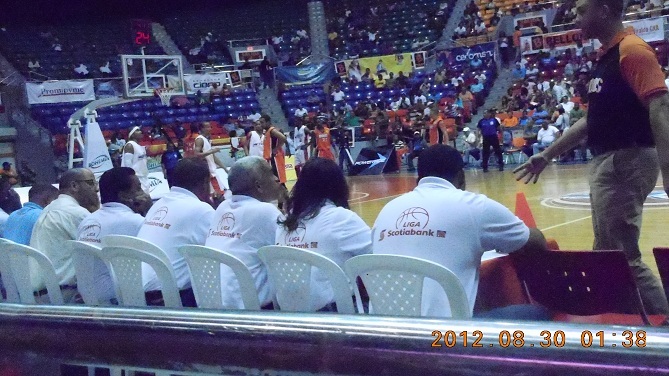 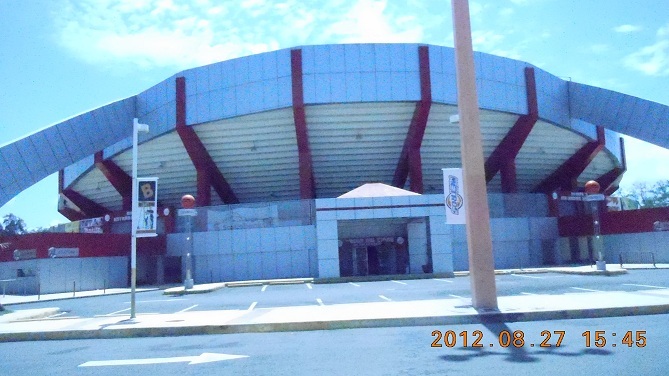 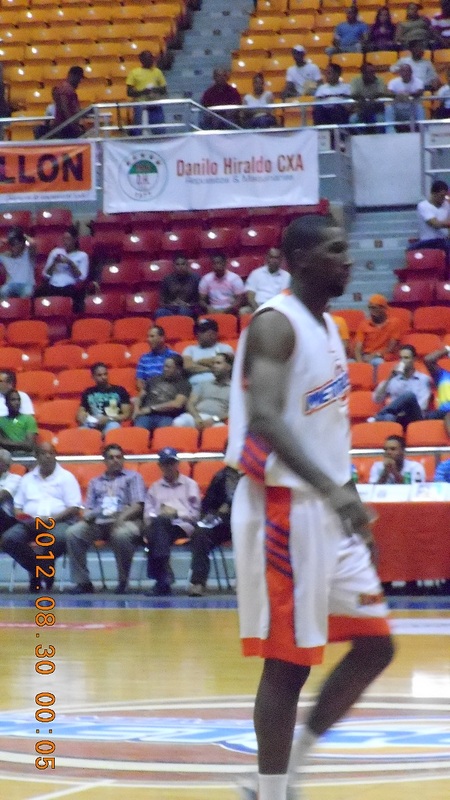 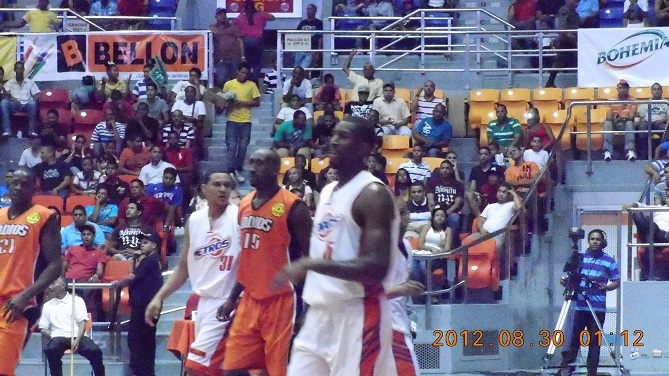 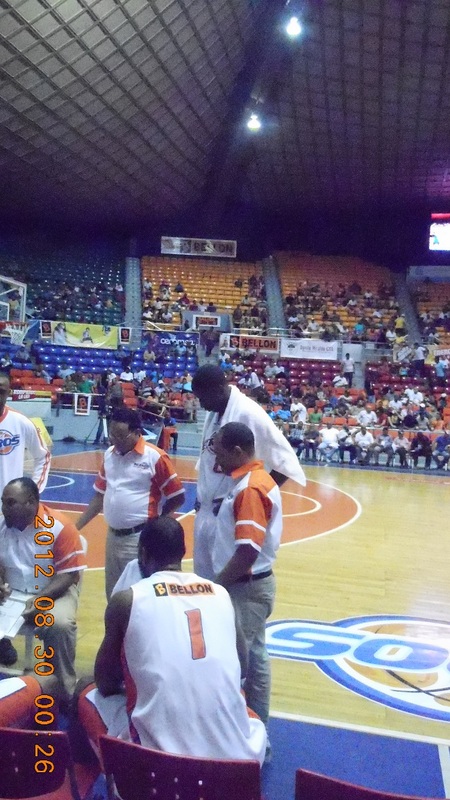 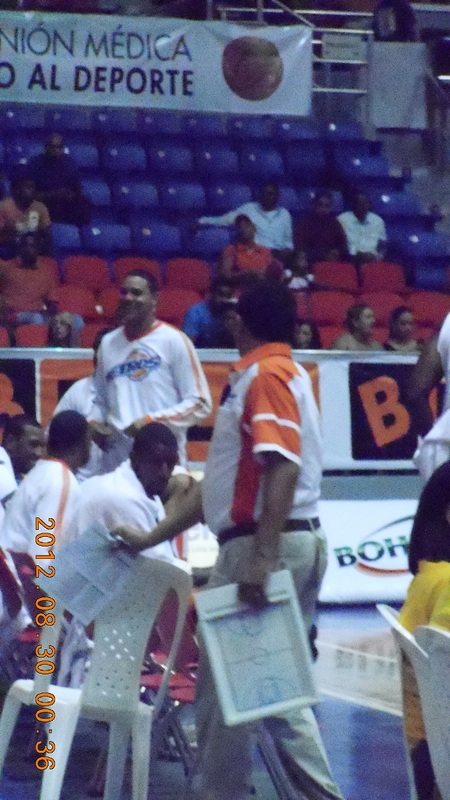 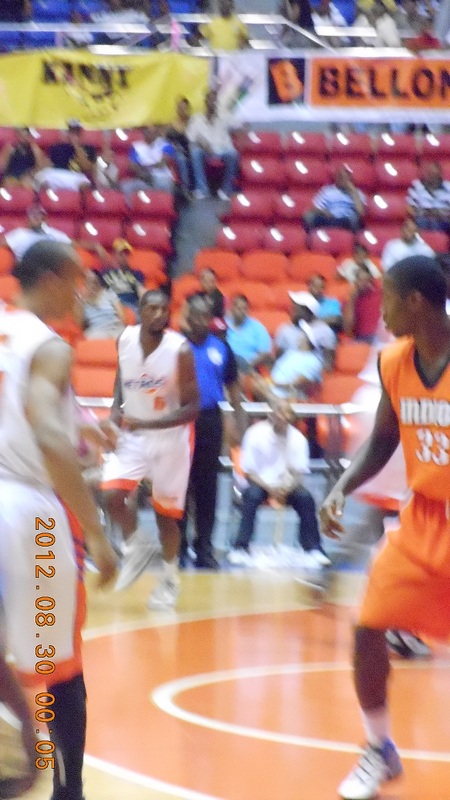 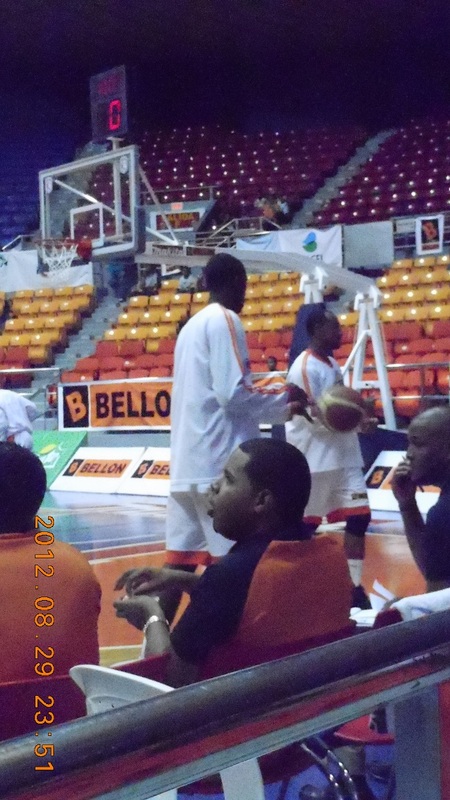 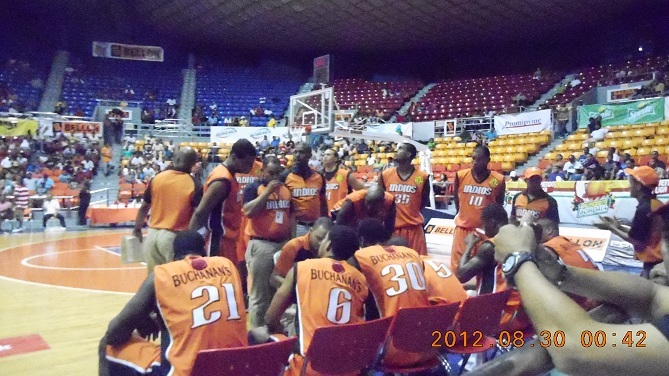 An account of the game can be found at http://www.lnb.com.do/main/noticias/metros-santiago/1064-adris-del-leon-y-victor-liz-conducen-metros-a-derrotar-indios.html. 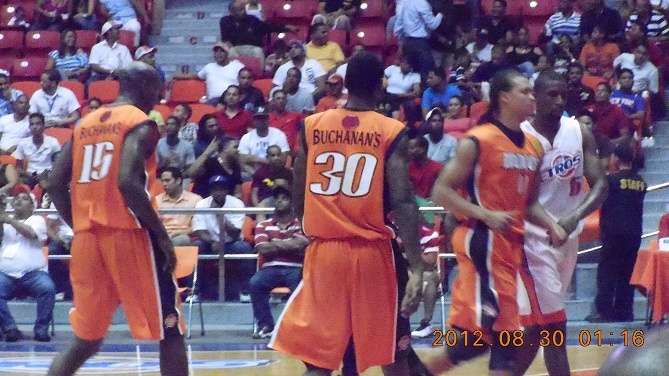 Nichols does not speak Spanish. 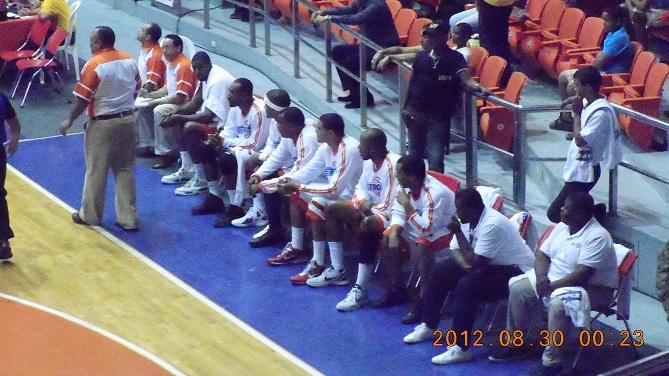 Players get ready for the Dominican Republic national anthem. 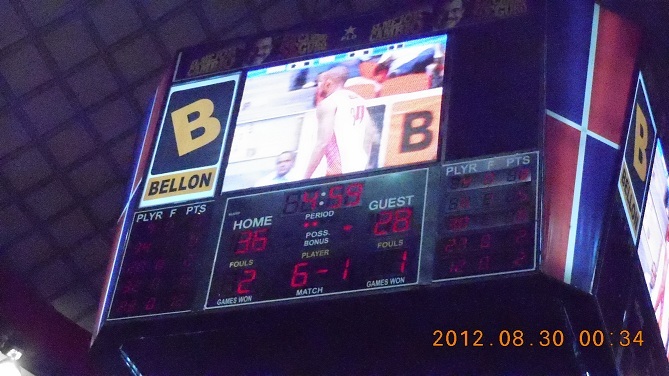 The time stamp is UTC and is now showing midnight, which is 20:00 local time, the scheduled time for the game to start. 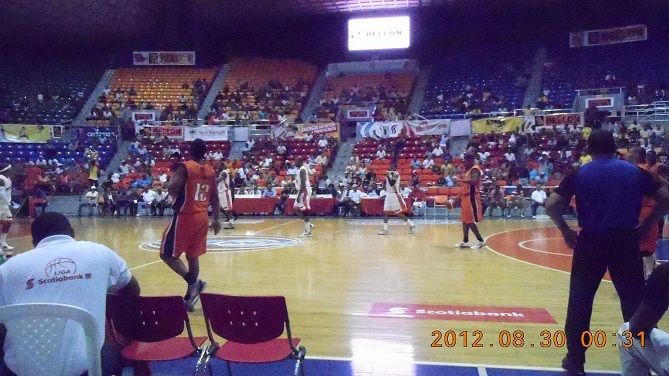 Notice how crowded the joint is. 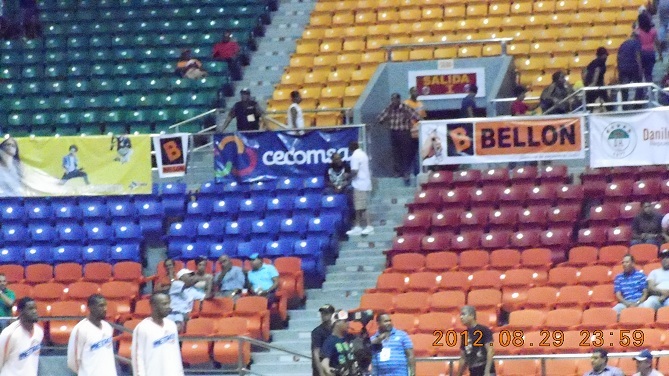 And just think, the front-row seats cost 250 pesos each (about 6.50 dollars). 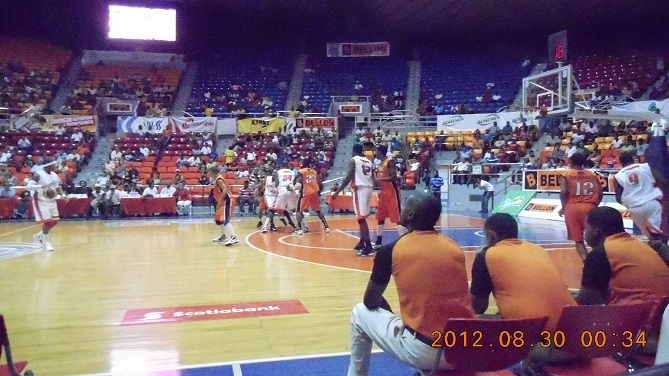 Scotiabank League. 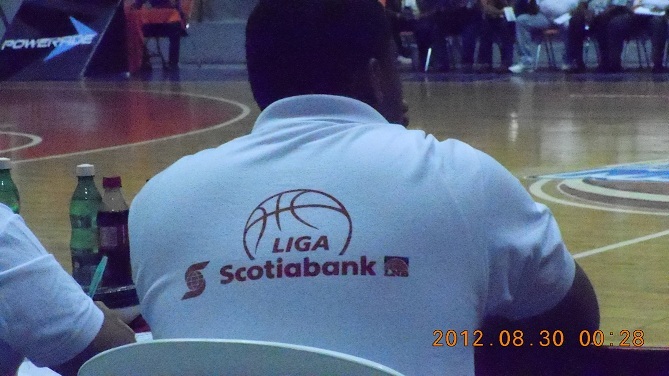 Scotiabank is the nickname for the Bank of Nova Scotia, a major bank in the Dominican Republic. 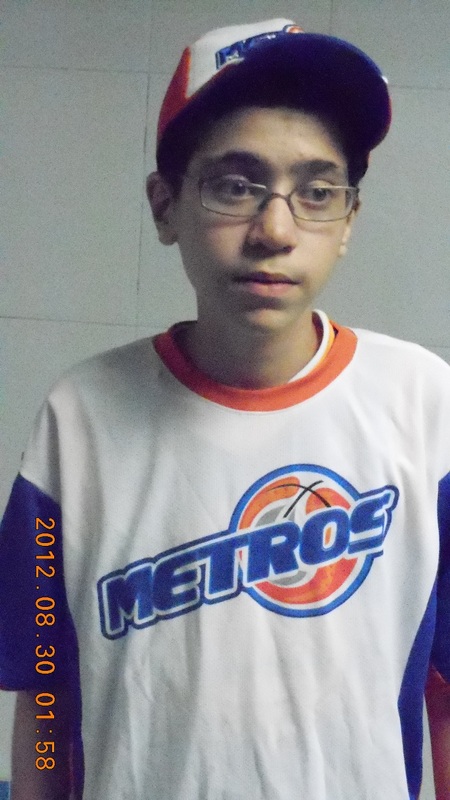 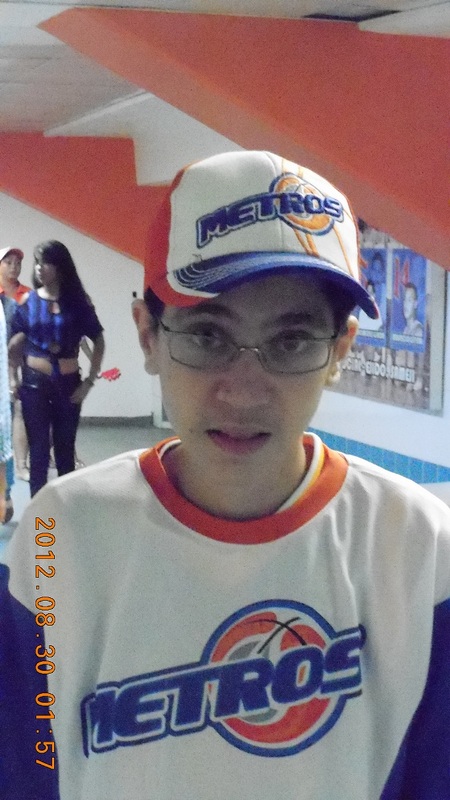 Metros fan Louis Alciere, 14, enjoys the game. 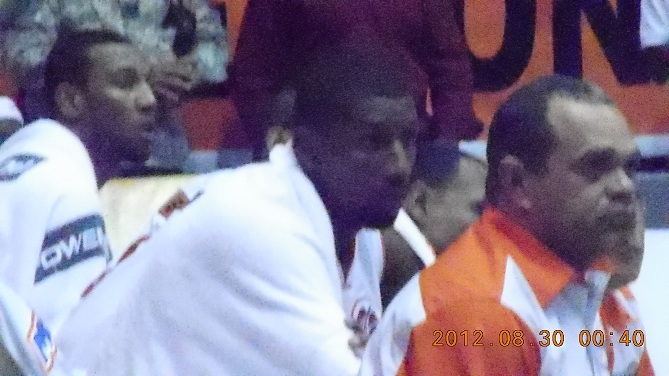 Perhaps the best picture of Nichols here. 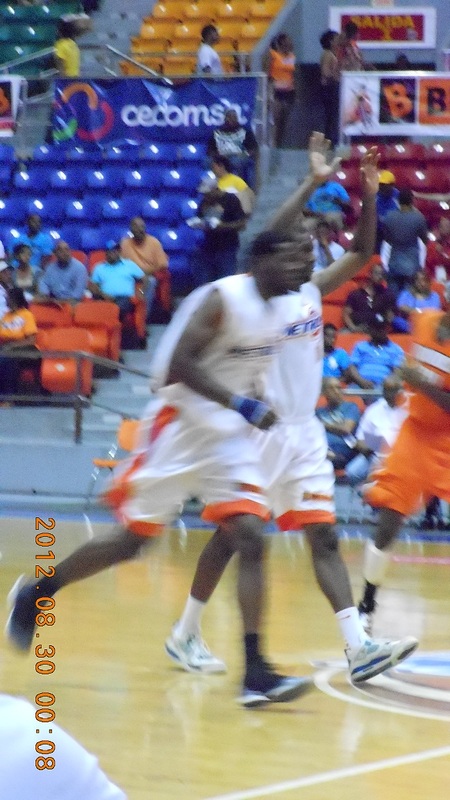 It aint easy to photograph a guy whilst he plays basketball! 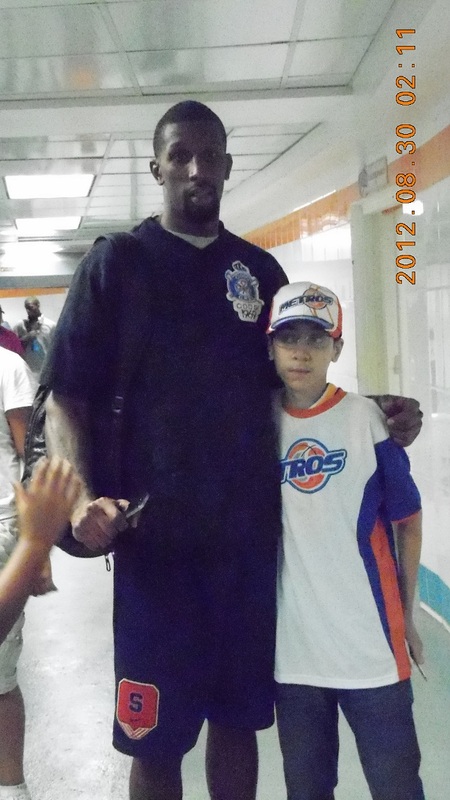 and was drafted by the Miami Heat, but did not play for them. 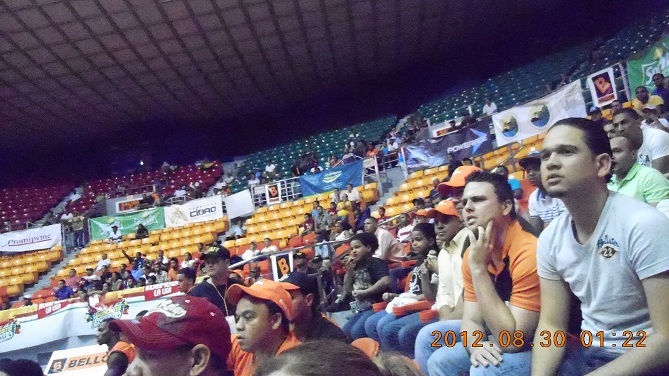 Fans of the visiting San Francisco de Macorís Indios watch the game. 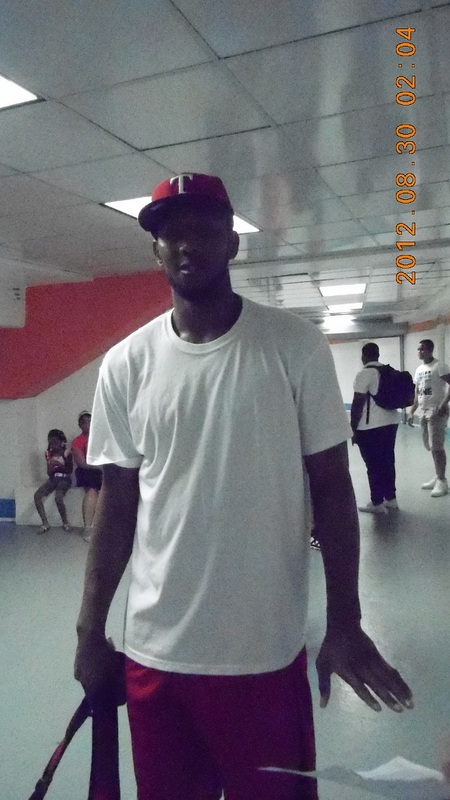 One of the other players, after the game. 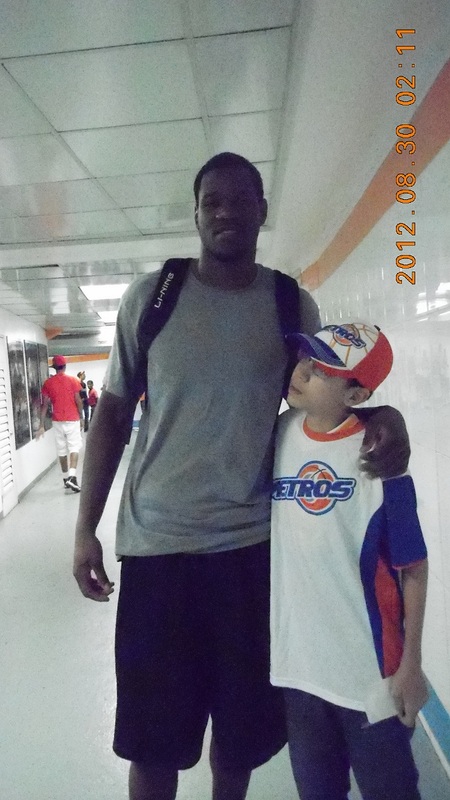 Metros fan Louis Alciere of Hudson, New Hampshire meets a player after the game. 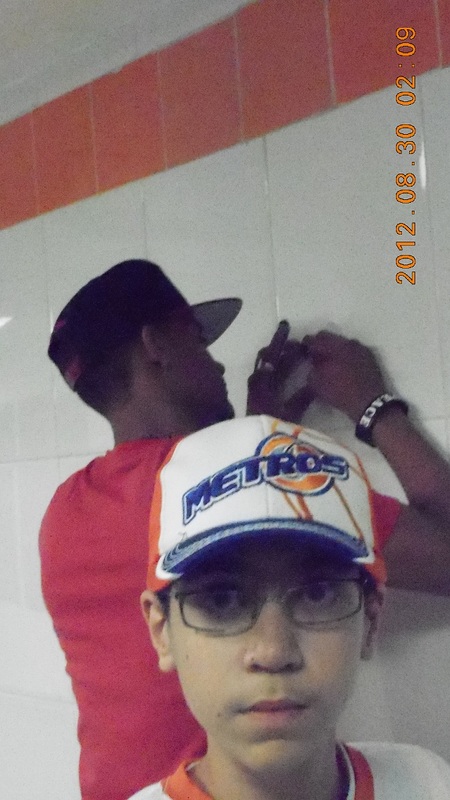 A player signs an autograph for Metros fan Louis Alciere. 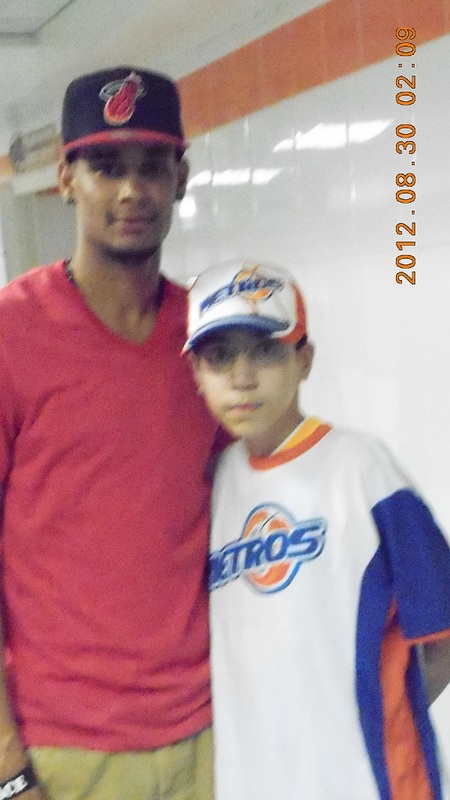 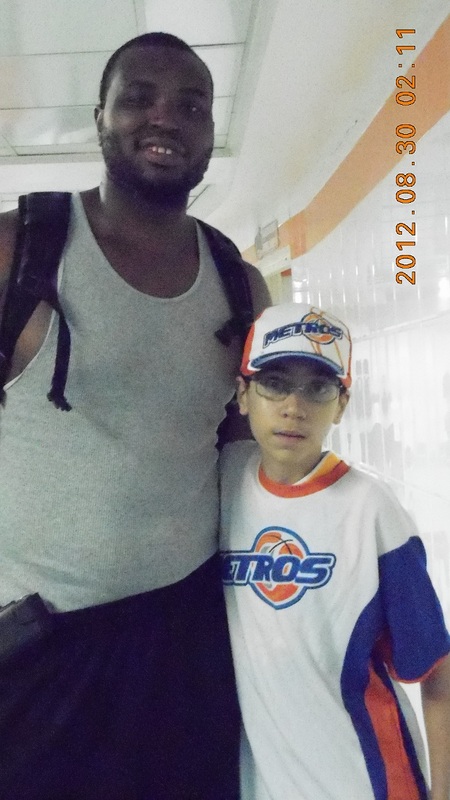 Metros fan Louis Alciere meets Demetris Nichols after the game. 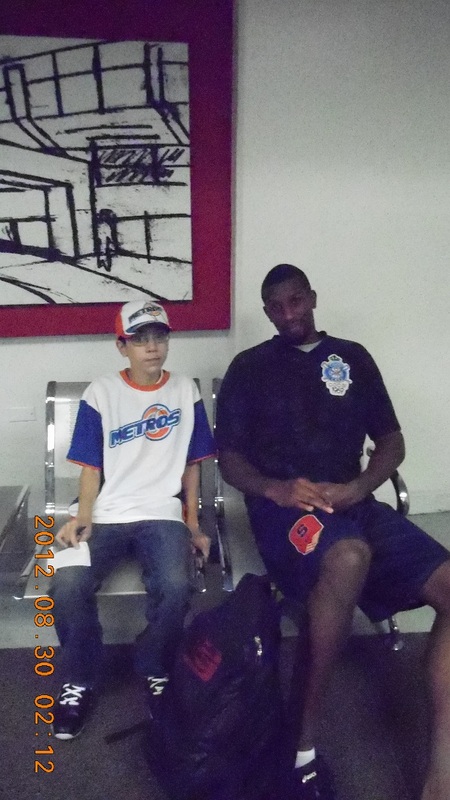 Another player meets Louis Alciere. 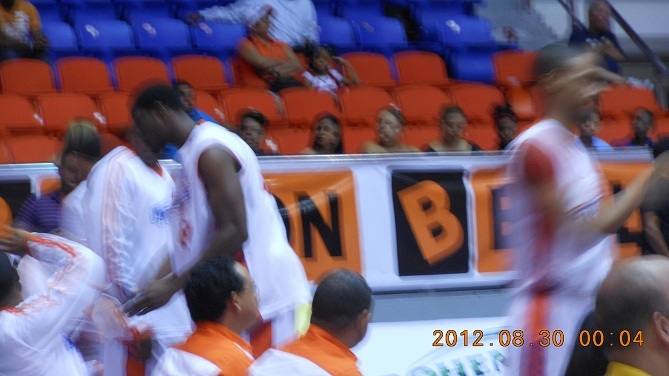 Louis Alciere and Demetris Nichols. 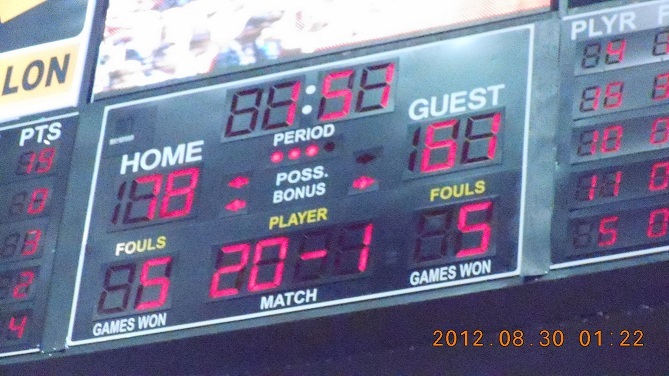 The time stamp on these photos is accurate and is in UTC. 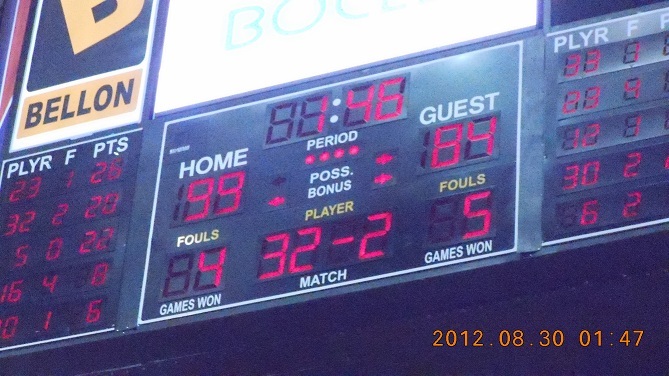 The local time is four hours less, so 02:13 UTC on 30 August 2012 is 22:13 local time on 29 August 2012. 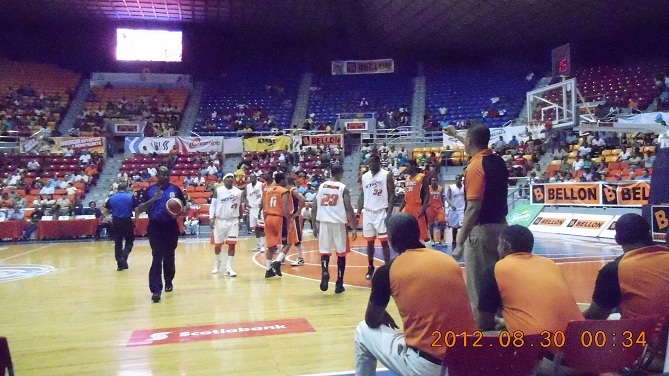 The Dominican Republic is in the Atlantic Time Zone, but they do not observe Daylight Saving Time. 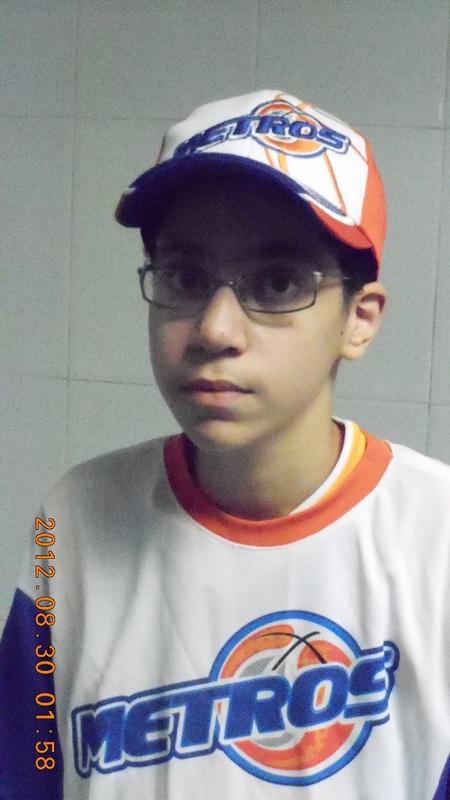 All of these photos are by Tom Alciere. 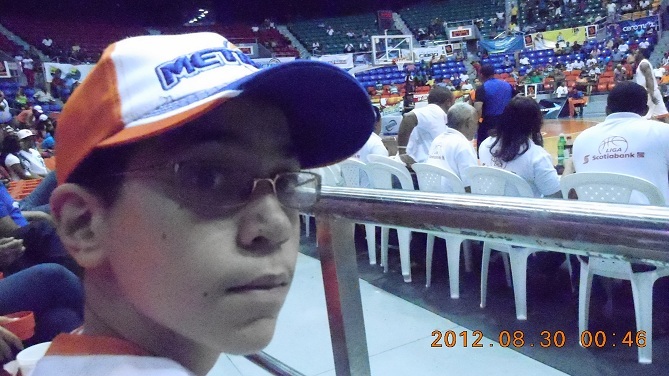 Click on any photo for an enlargement, and click on that for a bigger enlargement.